... the approved fanlisting for travel guides! 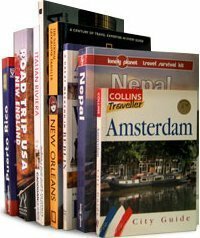 Here, you can read about the advantages and disadvantages of travel guides, learn about the different guidebook publishers, and how to pick the best guidebook for you. You can also join the fanlisting, get the codes, view the members, learn more about the site, or send me some travel tales of your own.